IZI Medical Products is a manufacturing company based in Baltimore, Maryland that specializes in the development of high quality medical consumable accessories used in radiology, radiation therapy and image guided surgery procedures. Galen Medical primarily sells IZI Medical’s image guided surgery products. 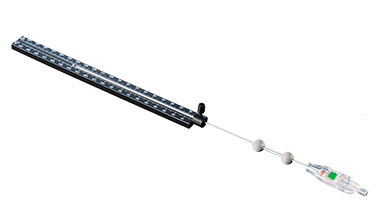 Available equipment includes the Multi-Modality Markers, Spherz Passive Reflective Markers, Disposable Passive Blunt Probes, Navigated Biopsy Needles and the Disposable Dynamic Reference Frame. IZI Spherz aid in the auto-registration and localization of rigid patient anatomical structures in image guided surgery. During the navigation procedure, the surgeon has minimal visibility of the instruments once inserted into the patient. 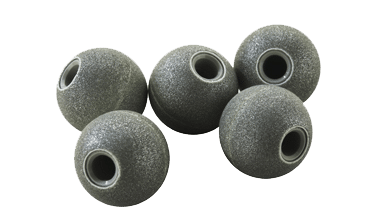 These Spherz provide localization and allow you to wirelessly track the position and orientation of any device from the frame of reference. 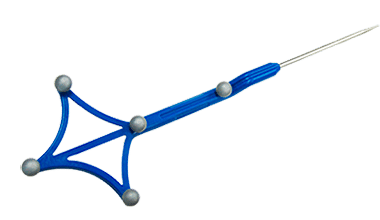 The Disposable Passive Blunt Probe is intended to be used for anatomic palpation and registration in Image Guided Surgeries with your image guided system. This sterile device is designed for disposable single use and includes pre-mounted spheres for unmatched accuracy and precise positioning every time. Wear and tear caused by repeated sterilization and typical use is eliminated. IZI’s Navigated Biopsy Needle is intended to be used in Image Guided Surgeries with Image Guided Navigation Systems. These sterile devices have several unique features that increase both ease of use and accuracy.